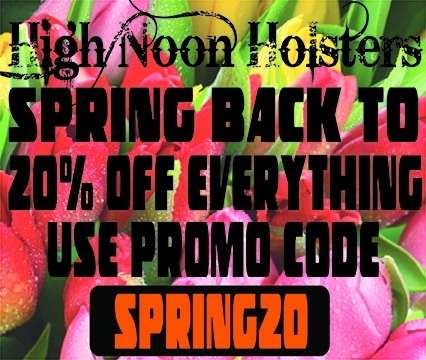 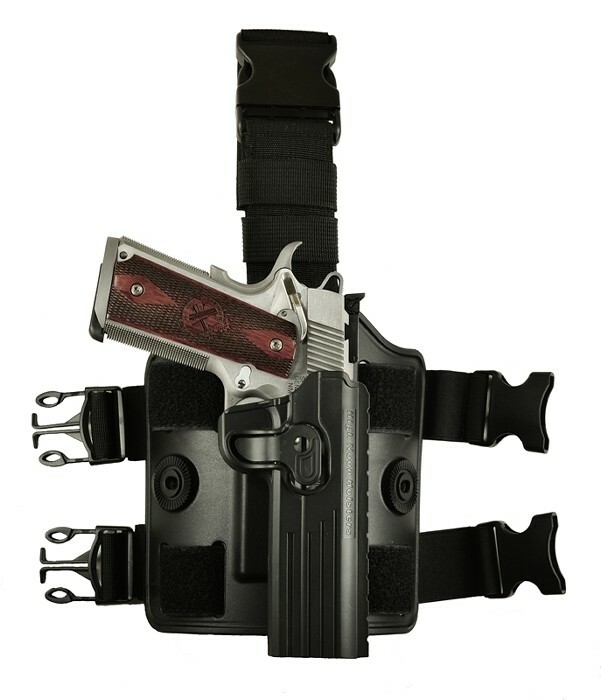 This dropdown or thigh holster is a very popular tactical holster. 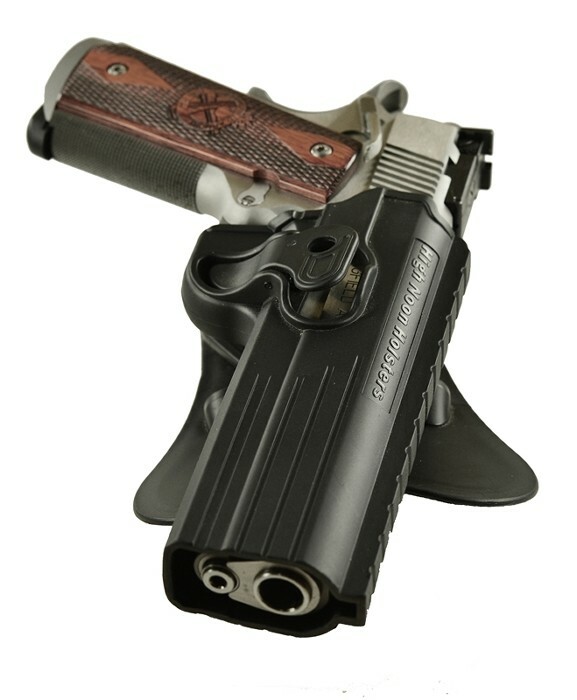 The MPT-11 offers a fully adjustable mount to the holster that fits your draw needs. 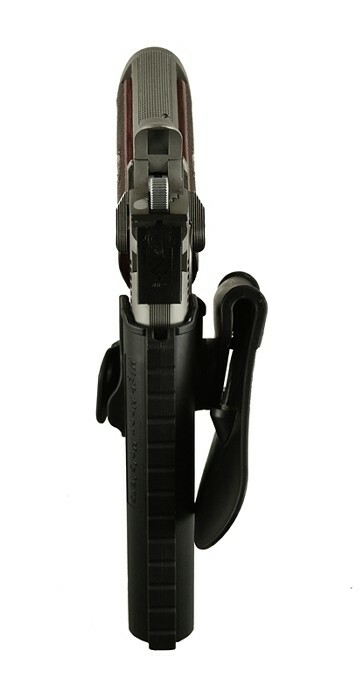 The dropdown is fully adjustable from a comfort perspective. 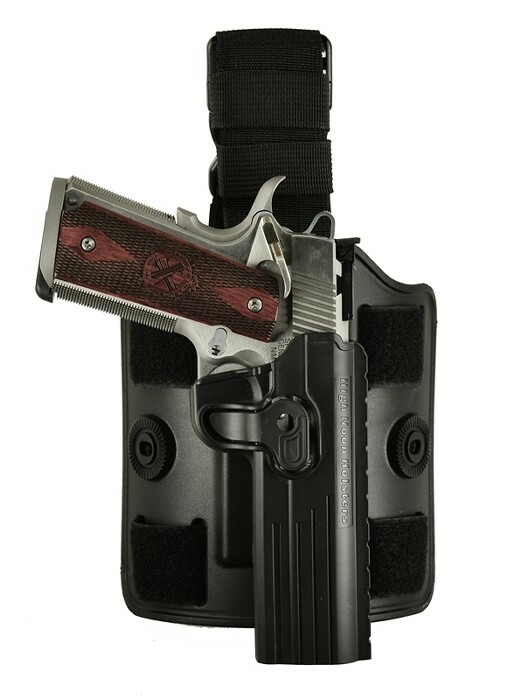 A fully adjustable strap mount to your belt with a quick disconnect that allows you to remove the holster while keeping the belt mount on your belt. 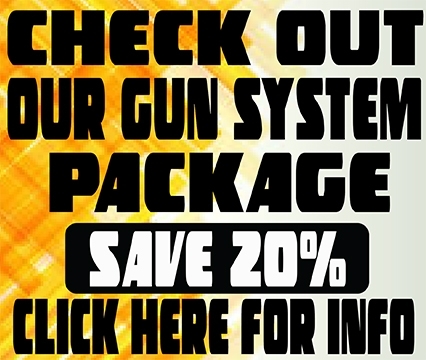 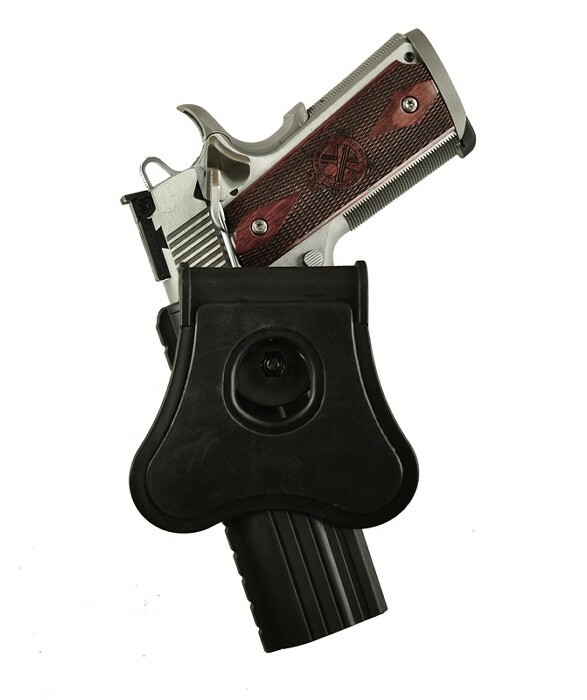 Two fully adjustable quick disconnect for securing the holster around your thigh for easy adjustments and quick mount or release of the thigh mount. 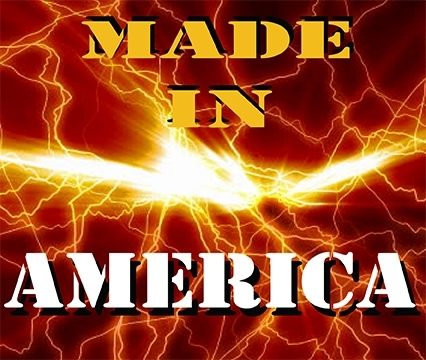 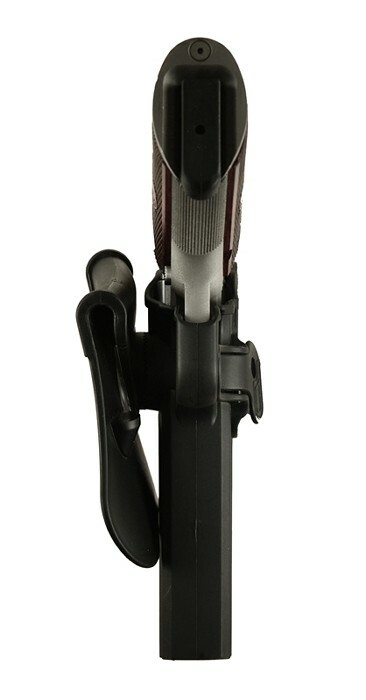 The adjustment ability on the axis point allows the wearer to custom adjust the cant to any position – 360 degrees. 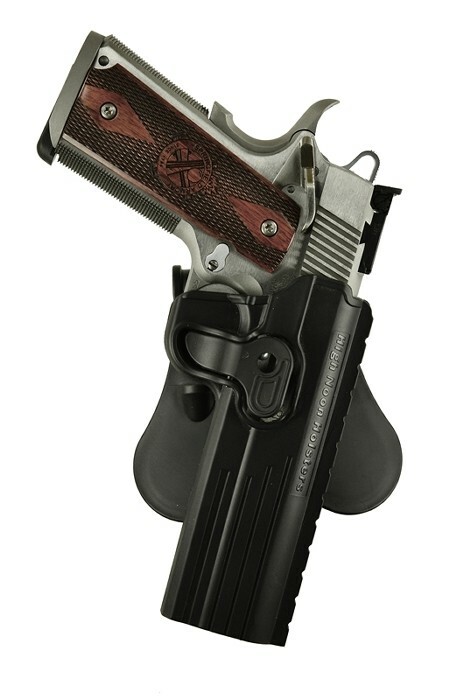 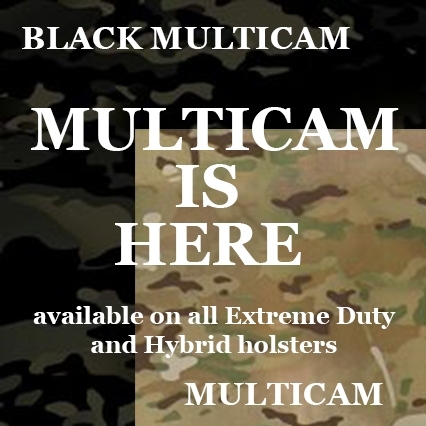 The ability to adjust the cant allows this holster to be worn at any position on the thigh mount. 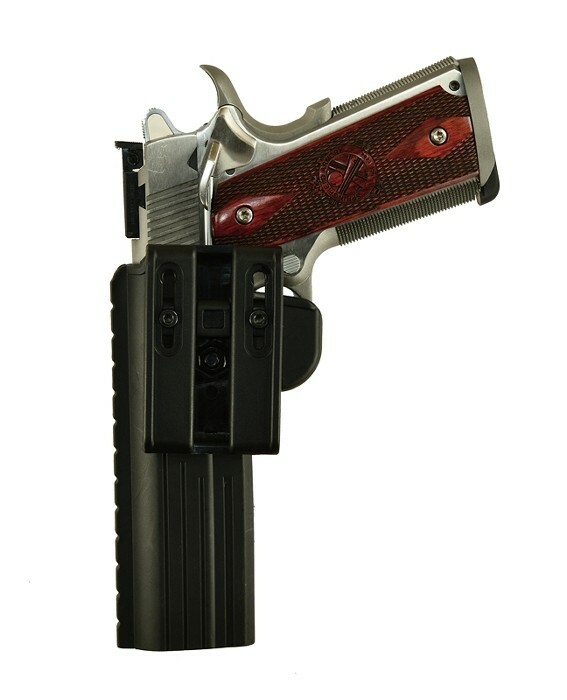 MPT-11 (1911 series – no rails) Available right-handed only. 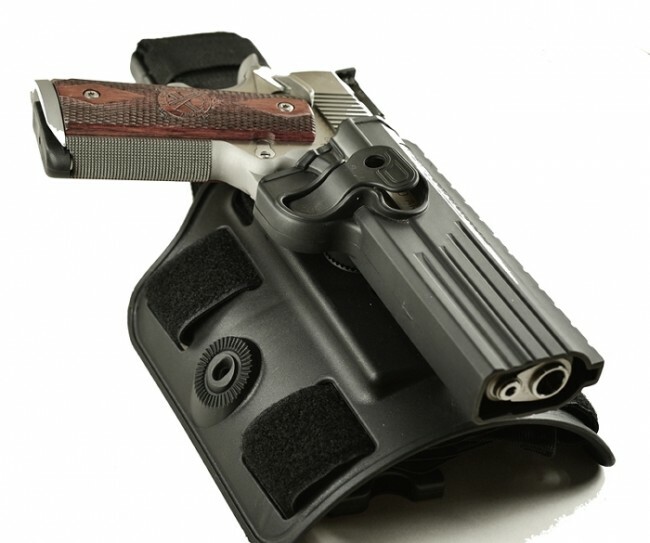 Can cross-draw with belt or paddle.